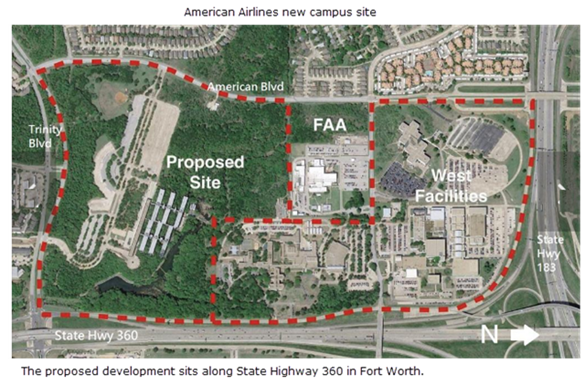 ​​​​FORT WORTH – Construction has begun on a new 1.8 million-sf headquarters for American Airlines. The new five-building corporate campus—which will be named after retired chairman and CEO Robert L. Crandall—will be on the company’s 300-acre corporate campus located west of Texas SH 360 between Hwy. 183 and Trinity Blvd. According to Tim Skipworth, American's vice president of airport affairs and facilities, upon completion the new campus will have enough room to house up to 11,000 employees. ​Check out DFW Office Market Research.